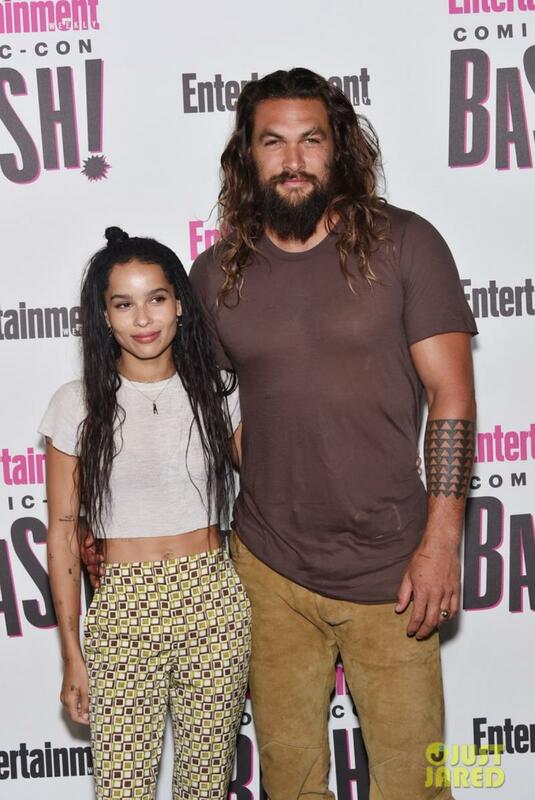 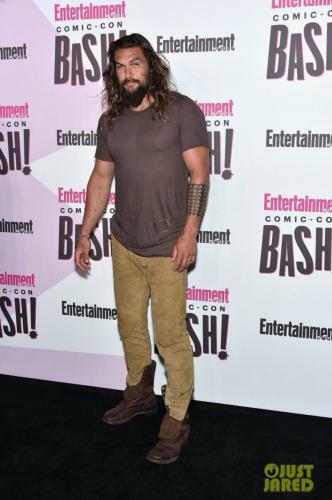 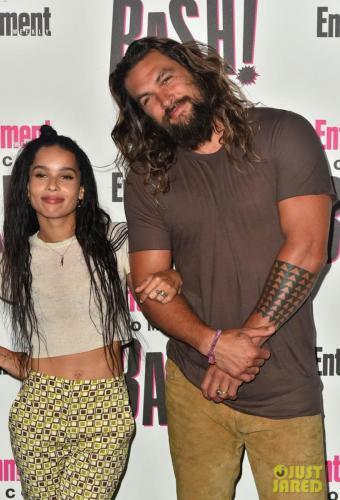 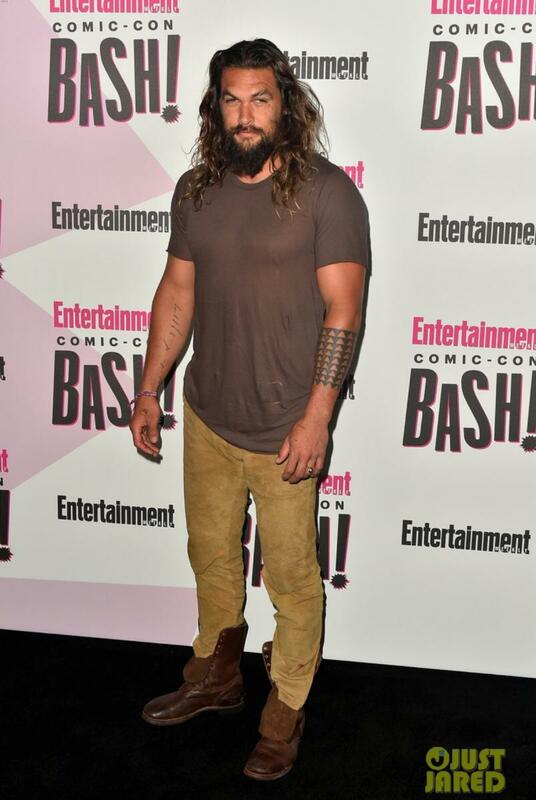 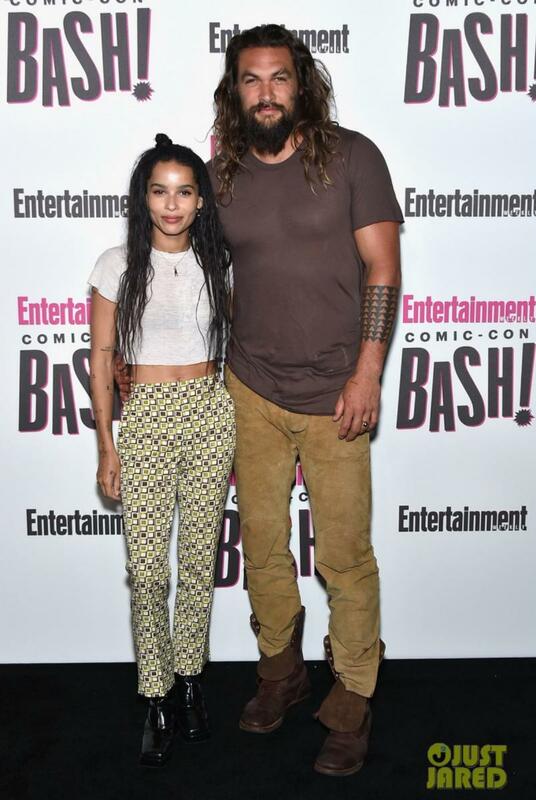 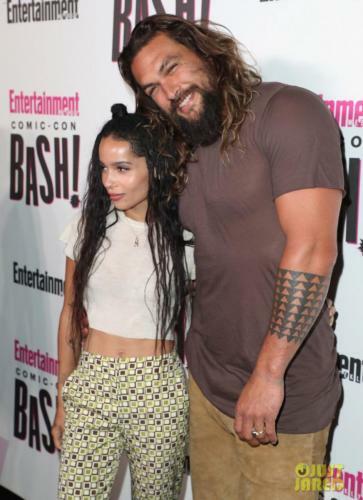 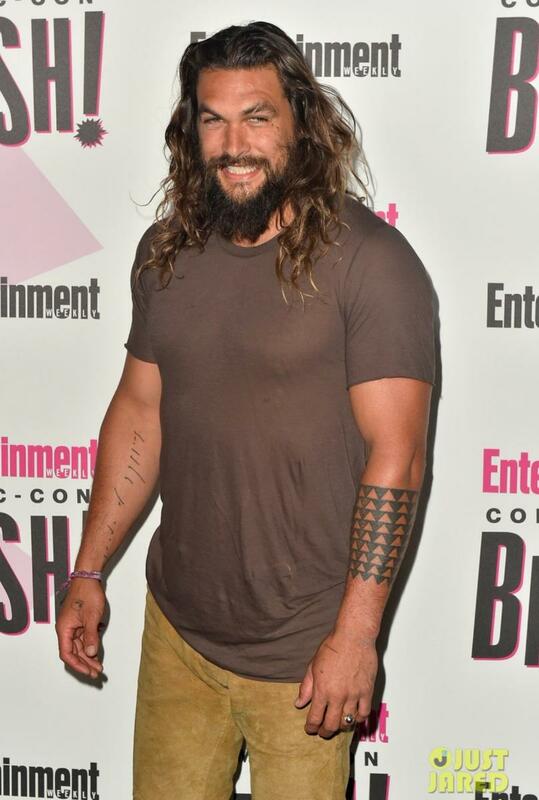 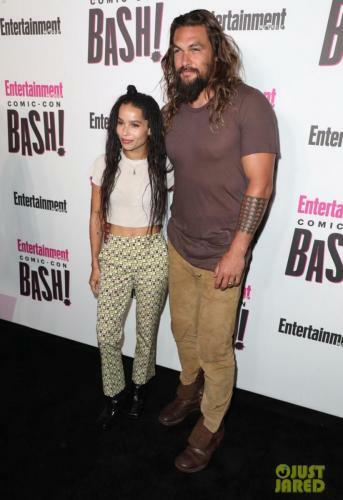 When both Jason Momoa and Zoe Kravitz are in WB movies at the same time, you know they’re going to be at SDCC for the big Saturday Hall H extravaganza and will inevitably meet up, which they did at the EW Comic-Con party. Zoe stars in the new Fantastic Beasts movie, The Crimes of Grindelwald while Jason is, of course, in Aquaman, coming out on December 21st. 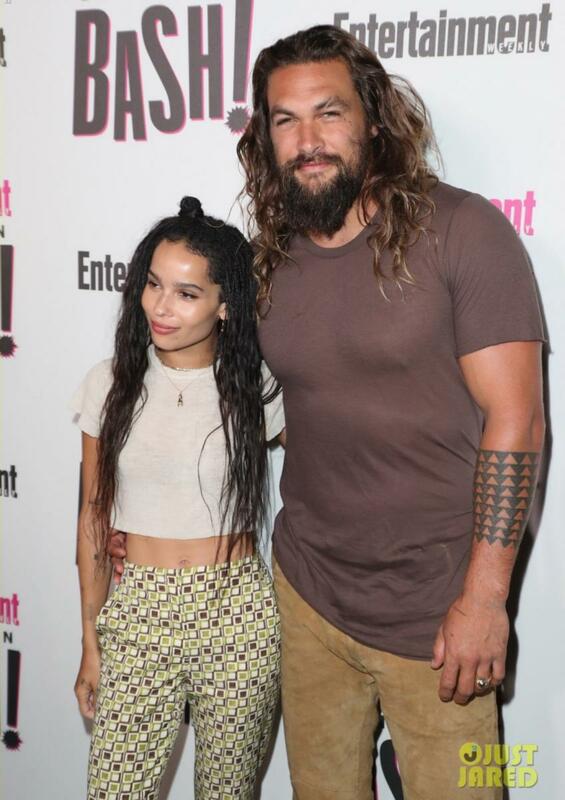 Zoe Kravitz hits the red carpet alongside stepdad Jason Momoa for the EW’s 2018 Comic-Con Bash on Saturday night (July 21) at FLOAT at the Hard Rock Hotel in San Diego, Calif. 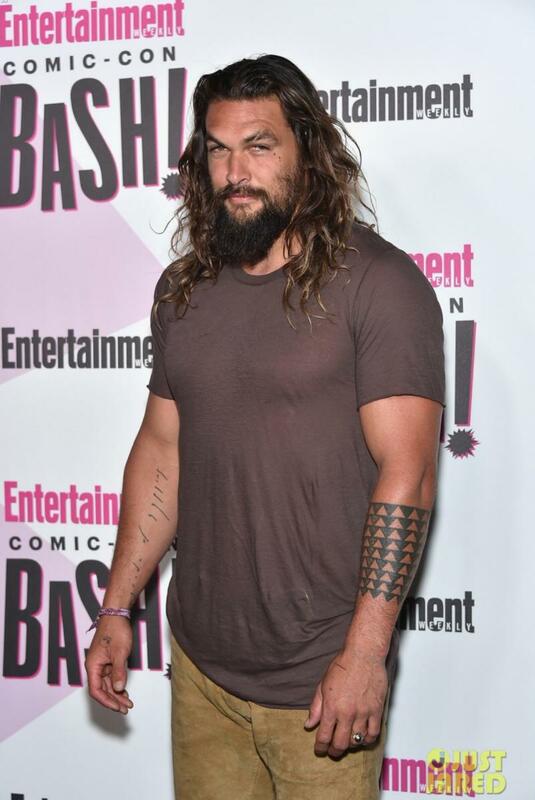 The 29-year-old Big Little Lies actress flashed her abs in a white crop top and printed pants while the 38-year-old Aquaman star showed off his buff muscles in a brown T-shirt. 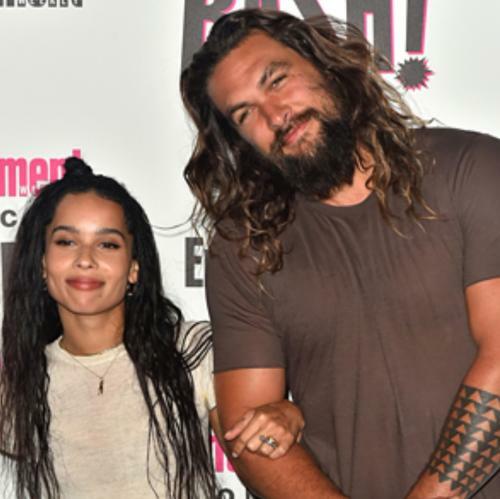 Jason married Zoe‘s mom Lisa Bonet back in 2017 after they started dating back in 2005. Take a look at our Aquaman filmography page.